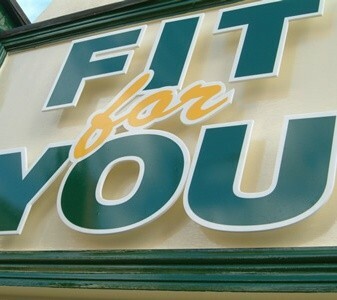 Fit for You began in 1998 and has grown to provide clients with a complete Health, Nutrition & Lifestyle Service. Personal Training, Presentations, Rehabilitation, Nutrition, Massage & Lifestyle Coaching are just a few of the benefits using Fit for You. We have extensive experience in dealing with all Health issues including; Diabetes, Cancer, Weight Loss, Blood Pressure, Cholesterol, Sports Injury, Post Operative, Pre-Post Natal, Fat Loss, Muscle Gain, Back Pain relief, strokes, and many more! Phil Cordell, plus a range of associates, are dedicated to helping people increase their Health & Fitness. If you require regular exercise training, massage or nutrition advice personally, presentations to your staff, or are looking to train staff to oversee/manage your company fitness facilities, Fit for You are here to assist (we can also offer Personal Trainer Certification). AIMS : Fit for You aim to develop as a complete Lifestyle, Nutrition & Fitness Consultancy, offering the most up to date and results based health information, to improve people’ Health & Life. Teaching the ‘real’ effects of poor nutrition, short & long term, & how to combat them, using the best fitness Durham can offer. THE PHILOSOPHY OF FIT FOR YOU IS TO TEACH : We can help you to learn about yourself physically, mentally and nutritionally. We can help you to re-evaluate your life and keep you on track - looking forward, not back. Physical, mental or lifestyle changes may take time. The results are worth it. Fit for You use the most up-to-date and proven methods to help you make optimum use of the time. The route to "whole health" is a matter of choice.